We provide building survey services to South East London and the surrounding areas. Give us a call on 01227 767770 if you have a question or query. Here at Consult Construct, we offer a wide range of building consultancy and surveying services in London. We work with a wide range of businesses, industries and individual home owners to offer a comprehensive surveying service. We are the premier building surveyors in the London area, so whether you are looking for a building surveyor, or perhaps you need someone to act as a contract administrator, or you need some assistance with a party wall, we can manage it all for you. Our flexibility and professionalism are recognised by our clients, large or small, as we help you to make the improvements you need to your home or perhaps get that first step onto the housing ladder. We take on jobs of all sizes and shapes, so we are well experienced in all aspects of surveying and building consultancy in London. If you are based in South East London and are looking to speak with someone about a construction related question please fill in the form to the right and one of our friendly team will get back to you ASAP. By providing us with as much information as possible you will be making it easier for us to help you quickly. Why Consult Construct in South East London? We are proud to be the best people to choose for your building survey services, as we believe we offer a superior experience to our competitors. We are rightly proud to be the best people to choose for building surveying in London, as we offer a superior experience to our competitors. Our team at Consult Construct have the skills and expertise to deliver a wide range of building and consultancy services, with surveying being just one aspect of our trade. Our highly dedicated team of contractors, experts, project managers and other professionals will ensure the work is carried out to the highest standards. Whether you require building surveying in London for buying your first home, you are looking to add to the size of your property with an extension or conversion and require planning permission, or perhaps you are working on a listed building – choosing the right team to do the work is important. 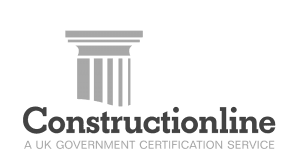 Choosing Consult Construct means you will always have the experts on hand to help. 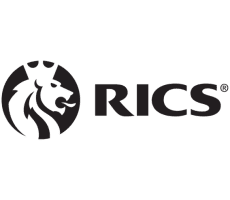 Being an independent firm of chartered surveyors and contractors means we are regulated by the Royal Institute of Chartered Surveyors (RICS) and are members of the Association of Project Safety (APS) as well as the Institution of Occupational Safety and Health (IOSH). This enables us to work safely and give you the peace of mind that your project is in capable hands! 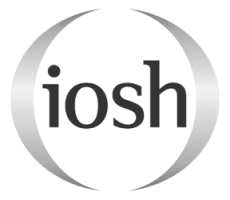 It is vital that our clients trust our work, which is why we are always compliant with current regulations and instructions for safe working conditions. Our team of building surveyors in London offer a vast array of professional property experience and a fully responsive, hands on service. Our team have the vision and creativity to make your project a success, no matter how large or small! We offer a client focussed experience, allowing you the scope to create the design you really want.We have experience with commercial and residential surveys, homebuyer reports structural surveys and more.